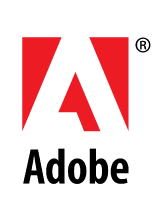 The Adobe Approved Trust List (AATL) is a program that allows millions of users around the world to create digital signatures that are trusted whenever the signed document is opened in Adobe® Acrobat® or Acrobat® Reader® software. Essentially, both Acrobat and Reader have been programmed to reach out to a web page to periodically download a list of trusted digital certificates. Any digital signature created with a credential that can trace a relationship (“chain”) back to the trustworthy certificates on this list, for an approved certificate issuance policy, will display as trusted by Acrobat and Reader. This certificate can also be considered as providing a high-assurance proof of the identity of the signer. AATL members CAs have been carefully vetted by Adobe to ensure their services and credentials meet the AATL Technical Requirements. Once a CA has been added to the List, any signatures applied with certificates that trace back to their root will be automatically trusted in Adobe products. Get your certificate-based digital ID from Pos Digicert, and start signing documents securely with Adobe Acrobat Reader DC, Acrobat DC, or Adobe Sign. The TMMi Foundation is a non-profit organisation dedicated to improving software quality management, test processes and practices. The Test Maturity Model (TMMi) integrated has been developed to complement the existing CMMI (Capability Maturity Model) framework and to specifically deal in detail with software quality. It provides a structured presentation of maturity levels, allowing for standard TMMi assessments and certification, enabling a consistent deployment of the standards and the collection of industry metrics. As part of its commitment to innovation and achieving excellence, Pos Digicert has pioneered the use of the TMMi methodology, an international standard that measures and improves software quality testing processes and activities. The TMMi Level 3 certification mandates organisations to understand the importance of reviews in quality control and to implement a formal review program linked to dynamic test process. Testing is fully integrated into the development lifecycle and the associated milestones. At this level test process improvement is fully institutionalized as part of the test organization’s accepted practices and testing is perceived as a profession. 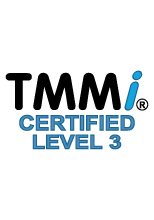 Pos Digicert was awarded the TMMi Level 3 certification on 31st May 2018. Pos Digicert is the first Certification Authority in Malaysia to be awarded the TMMi level 3 certification. This certification comes as recognition for Pos Digicert’s commitment to quality as a driver of excellence and sustainability, as well as the company's ability to run and deploy software development and maintenance projects pursuant to the most stringent international standards, methodologies and procedures. Being a TMMi level 3 certified company, Pos Digicert aspires to increase its revenue further by providing its IV & V services to various government and private sectors in Malaysia. 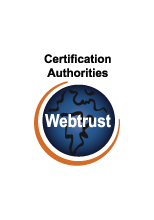 WebTrust is an international independent auditing process that provides Licensed WebTrust Practitioners or Licensed Professional Accounting Firms to assess the adequacy and effectiveness of the controls by Certification Authorities (CAs). A WebTrust "SEAL" is awarded to CAs that consistently adheres to principles & criteria established (1998) by the Canadian Institute of Chartered Accountants (CICA.ca) and the American Institute of Chartered Public Accountants (AICPA). Consistent with company’s objectives of improving its skill and professionalism to excel in the Information Technology industry and to provide quality services, the company has streamlined and upgraded its management system. POS DIGICERT has since successfully established their Quality Management System in line with the ISO 9001:2015 Certification. 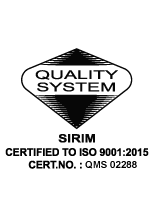 This is our commitment in providing quality Certification Authority (CA) services. The certification also enables us to penetrate into the international market abroad. 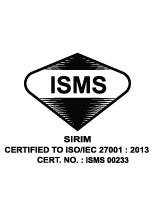 To fulfil our commitment in continuously providing resilient security assurance services, POS DIGICERT has been recently certified with the prestigious ISO/IEC 27001:2013 on 3 October 2014, marking it as the first Certification Authority in Malaysia being certified under the revised standard. ISO/IEC 27001 standard specifies the requirements for establishing, implementing, maintaining and continuously improving an Information Security Management System (ISMS) for organizations. The ISMS is a systematic approach in managing information security to preserve the confidentiality, integrity and availability of information asset by applying the appropriate risk management process, which then gives confidence to the interested parties that the risks are adequately managed and mitigated. This international standard can be used by the internal or external parties to assess the organization’s ability to meet its own information security requirements. The certification was awarded to POS DIGICERT after undergoing a rigorous audit session by SIRIM QAS International. This achievement highlights POS DIGICERT’s commitment towards delivering not only the highest quality in providing its services, but also the security assurance to our clients and stakeholders with the implementation of ISMS. It is achieved by taking a holistic and coordinated view of the organization’s information security risks in a comprehensive suite of information security controls under the overall framework of the coherent management system. The international standard has guided POS DIGICERT in securing information assets by implementing a suitable set of controls, including policies, processes, procedures, organizational structures and software and hardware functions. These controls are implemented, monitored, reviewed and improved, where necessary, to ensure organisation specific security and business objectives are achieved. Managing the organisation’s information security shall include financial information, intellectual property, employee details or information entrusted to the company by third parties. 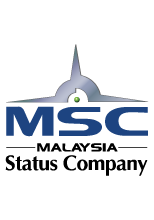 MSC Malaysia status is a recognition by the Government of Malaysia through the Multimedia Development Corporation (MDeC), for ICT and ICT-facilitated businesses that develop or use multimedia technologies to produce and enhance their products and services. It is also a mark of world-class service and achievement for an ICT company. Meanwhile for customers working with us, it is your passport and gateway to a host of privileges granted by the Government of Malaysia to the business entities.